This is beyond bad. If you don't like fresh, aquatic or sports fragrances, you will be in hell if you try wearing this horrorshow. Come to think of it, you'd be in hell even if you do like those kinds of fragrances, because this represents the worst in what I consider the worst genre of men's perfume. I have no problem with the use of synthetics in perfume. Synthetics are what give fragrances stability, which is why so-called "all natural" perfumes often fall apart and go soft during drydown. In fact, there are some fragrances featuring almost all synthetic ingredients that I've enjoyed. Porsche Essence uses synthetics in the worst way possible: to pulverize and flatten any natural ingredients it might contain. I can tell there are some citruses and herbs in this, which might be natural, but they're completely overpowered by screaming, pounding chemical wood and watery notes that create an effect of hearing nails being scraped on a chalkboard. And I'm not talking about fingernails either - I'm talking about carpentry nails! What's more, the fragrance is very long lasting and projects far, so you and everyone around you can enjoy the mayhem all day long. This is white noise in a bottle. If you've got a migraine headache, and it's not painful enough for you, just wear this. This is very nearly as terrible as the two men's fragrances I consider to be the worst ever: Wings For Men and Beverly Hills Polo Club Classic. 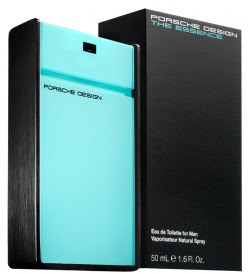 The only reason I rate Porsche Essence slightly above those two is because for about thirty seconds after applying it on skin, the top notes in Porsche Essence are halfway tolerable. I need to make a list of the Top Ten worst men's fragrances ever. This will certainly be on that list. Very nice blog. I enjoy reading your reviews. I own this one. I picked it up at TJ Maxx thinking it would be a decent acquatic/sport fragrance. I don't know why I bothered. There's no character to it and its longevity is very short adding insult to injury. Most people, like you, have criticized this for having lousy staying power. I found it to be long lasting, but with somethng this bad, even an hour is too long.